I’ve already written about how not having a high school newspaper means I don’t have any embarrassing 1980 pans of London Calling out there. 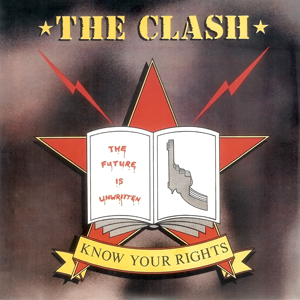 However, since I ended up publishing the KFSR fanzine in 1983, I do have a couple of dead wrong #hottakes on The Clash post-Mick Jones to quote from!! Here’s some cognitive dissonance for you: I think that Combat Rock is unfairly slagged. I don’t particularly think that Combat Rock is a very good record. 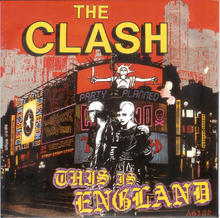 I mean all of the tendencies that made London Calling and Sandinista! so amazing are still there: the desire to experiment with new forms; the fascination with rap & reggae; the top-notch musicianship. What’s lacking is the songwriting chops and especially the melodies. 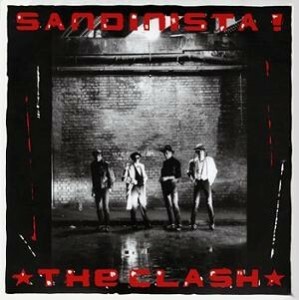 I know that’s insane to say for an album that sported their two biggest hit singles, but Combat Rock is dominated far more by more grooves and chants than verses and choruses.
. . . by the time we got to side five, the only thing we knew for sure about Sandinista! was that we didn’t know anything at all about Sandinista! At this point, it was clear that anything could happen, that the the best thing was to sit back, enjoy the ride and hope for the best. Still, the one thing that we couldn’t have known — even after all of the twists and turns — was that Sandinista! had one more surprise up its sleeve: putting one of its very greatest songs at the very end of side five. Most records didn’t even have a side five . . .
I’ll get into the last of the great Clash covers in a second, but I would be remiss if I didn’t take a second to talk about The Equals, one of the greatest 1960s bands you’ve probably never heard. I realize that in 2015, nobody thinks that’s a category, but of course it is. The Equals blended rock, pop and soul in much the same way that Sly & The Family Stone did, but never made it as big as their American counterparts for a couple of reasons: 1) they weren’t nearly as funky 2) Eddy Grant (yes, that Eddy Grant) wasn’t as good of a songwriter as Sly Stone. Nevertheless, you should go out and find the First Among Equals compilation and find out why their musical blend was an influence on The Clash. Closing out side three of Sandinista! with a great joyous blast of gospel music, “The Sound of The Sinners” just might be the most fun Joe Strummer ever had on record. Sure, it’s all a bit tongue-in-cheek, but if you think about it, who better than to do a gospel song than Saint Joe Strummer?